Thomas C. Oden, respected editor, researcher, author, and one of the most gifted ecumenical scholars of our time, passed away Thursday morning, December 8, 2016, at the age of eighty-five. 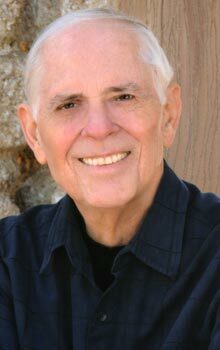 "Tom Oden was unique among evangelical theologians," said Dan Reid, associate publisher and IVP Academic editorial director. "At IVP Academic we look back on our long association with Tom Oden with great thankfulness and no small degree of wonder. We always felt we were caught up into something much bigger than ourselves, just as we felt Tom Oden was himself carried along by Spirit and providence. We are immensely grateful for the life of Thomas C. Oden and feel privileged to have shared in fulfilling a portion of his visionary faith, and the energy with which he lived it out." Oden, known most recently for his advocacy for the rebirth of modern orthodoxy, spent his career researching, creating, and editing volumes that tied the modern church to its ancient and historical roots. He was the general editor of the Ancient Christian Commentary on Scripture and the Ancient Christian Doctrine series as well as the author of Classic Christianity, a revision of his three-volume systematic theology. Until his death, he served as the director of the Center for Early African Christianity at Eastern University in Pennsylvania. "Tom Oden had a mind and heart that never rested," said Andrew T. Le Peau, former associate publisher for editorial at InterVarsity Press. "He was always exploring what new things God was up to in the world, ultimately realizing that it was what God had been doing from ancient times to the present. His unusually entrepreneurial intellect and his warmth of spirit will be dearly missed." Oden wrote and edited hundreds of books, articles, and essays and gave speeches on such topics as church and the world, church controversies, evangelicalism, Kierkegaard, the Methodist church, church discipline, John Wesley, postmodernism, and more. His first volume with InterVarsity Press was Two Worlds (1992), which discussed the dichotomy of perishing modernity and emerging postmodernity and their impact on Christianity. He quickly followed this with the launch of the Ancient Christian Commentary on Scripture in 1998, forever changing the face of IVP's publishing program. "When in the 1990s he contacted IVP about a proposed commentary series drawing from the church fathers, his contagious enthusiasm carried us along into one of the most exciting chapters in our academic publishing history," said Reid. "The launch of the twenty-nine volume Ancient Christian Commentary was the immediate result, but there followed the Ancient Christian Doctrine series, the Ancient Christian Texts series, and the Encyclopedia of Ancient Christianity. And mixed into these massive initiatives were his explorations of early African Christianity. Oden had drunk deeply from the springs of the early church, and his visionary and entrepreneurial instincts seemed to require an entourage of editors, scholars, and graduate students to channel his ever-expanding vision into reality." 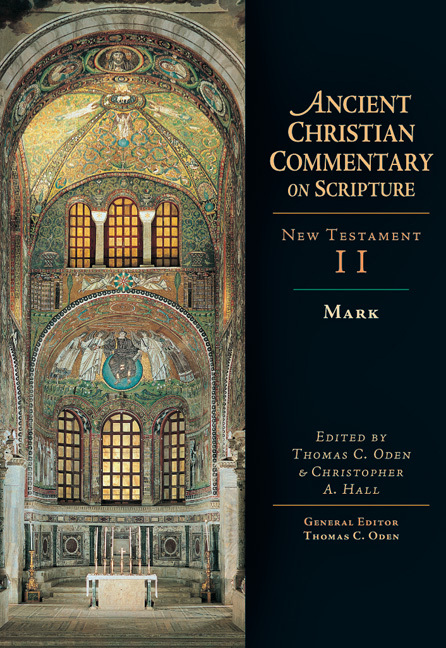 The Ancient Christian Commentary on Scripture was the recipient of many awards, including the 1999 Christianity Today book award winner for Mark, the inaugural volume in the series. J. I. Packer praised the whole, writing, "The conspectus of patristic exposition that this series offers has been badly needed for several centuries, and the whole Christian world should unite to thank IVP for undertaking to fill the gap. For the ongoing ecumenical conversation, and the accurate application of early Christian thought, and the current hermeneutical debate as well, the Ancient Christian Commentary will prove itself to be a really indispensable resource." "Tom was my Doktorvater in historical and systematic theology and passed on to me and generations of students his great love of the Triune God and the ancient legacy of patristic exegetical and Trinitarian theology," said Joel Scandrett, assistant professor of historical theology and director of the Robert E. Webber Center at Trinity School for Ministry in Ambridge, PA. "As a first-year doctoral student, he asked me to be his teaching assistant in theology, and to help him organize a little project called the Ancient Christian Commentary on Scripture. I am forever in his debt, in more ways than I can number." Oden's lifetime of work reveals that Christians need to rely upon the wisdom of the historical church, particularly the early church, rather than exclusively on modern scholarship and theology. In his 1992 volume After Modernity... What? he called for churches "to begin to prepare the postmodern Christian community for its third millennium by returning again to the careful study and respectful following of the central tradition of classical Christianity." "It was my distinct pleasure to work with Tom Oden on the formation of the Ancient Christian Commentary book club in the late 1990s,” said Jeff Crosby, publisher, InterVarsity Press. "Even more, it was a privilege to learn from his journey of faith and style of scholarship that engaged students and the church across such a wide spectrum of traditions and which called for and helped realize a 'rebirth of orthodoxy.' He will be missed." 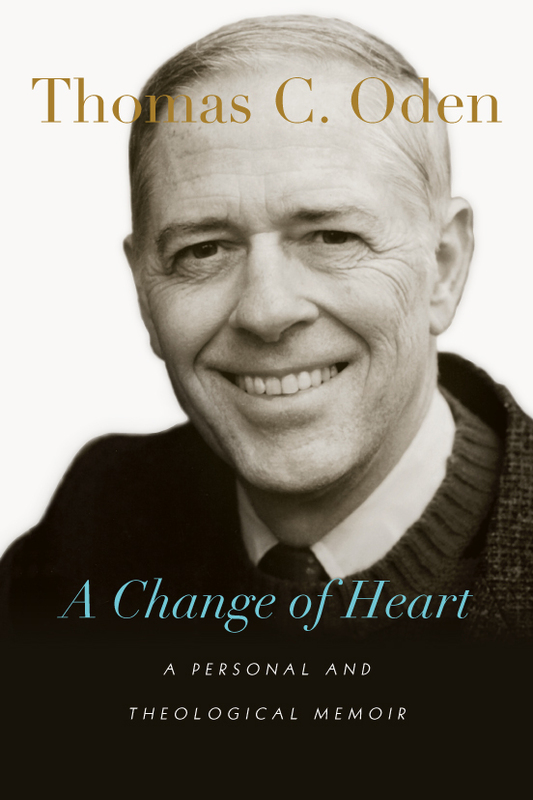 In Oden's memoir, A Change of Heart, he writes, "I regard my serious readers as a great blessing because they have proven to be more important than thousands of standby observers. I still follow the hope of Kierkegaard in his authorship that he might reach out for 'that one single individual.' I feel as he did, that if I have only one, a single truly listening reader, I will be grateful. And I know the angels will be singing." Oden served as the Henry Anson Buttz Professor of Theology and Ethics at Drew University in New Jersey from 1980 until his retirement in 2004. Oden received a BA from the University of Oklahoma (1953) and a BD from Southern Methodist University (1956), earned his MA (1958) and PhD (1960) from Yale University, and a doctor of letters from Asbury College (1990). Oden had a long teaching career, which included positions at Yale University, Southern Methodist University, Phillips University, Texas Medical School, Princeton Theological Seminary, Austin Presbyterian Theological Seminary, the School of Theology at Claremont, the General Theological Seminary, and Drew University. He also held positions at Ruprecht Karl University in Heidelberg, Germany, the Ecumenical Institute in Bossey, Switzerland, and Moscow State University. Throughout his career, Oden also served in many professional and political organizations, including the American Theological Society, American Academy of Religion, Phi Beta Kappa, American Society for Christian Ethics, Rotary Club, Americans for Democratic Action, World Federalist Movement, and the National Association for the Advancement of Colored Peoples. He observed the Vatican Council II (1965) and participated in the White House Conference on Urban Initiatives (1985), peace walks, demonstrations, and many other religious and political conferences. Additionally, Oden was active in the Confessing Movement in America until his passing, particularly within the United Methodist Church. View IVP's tribute to Oden at ivpress.com/thomas-c-oden.